Sign up to get a FREE chapter of "Honest Medicine" by Julia Schopick. You'll also be signed up to get interesting news and updates delivered to your inbox. Please be assured that we will never sell your private information. We don’t like SPAM any more than you do! To view my copy describing the significance about each link, place your curser lightly over link. The copy will appear, then disappear. When this happens, take curser away from the link, then bring it back. Continue reading. Hope this helps! Confronted with Disclosure Demands, Fake News Moguls Cry "Censorship!" Chemo Concession -- Cancer docs profit from chemotherapy drugs. Chemotherapy: Does Reimbursement Influence Chemotherapy Treatment For Cancer Patients? The contribution of cytotoxic chemotherapy to 5-year survival in adult malignancies. The Cosmetics Industry and Breast Cancer: Philanthopy or Hypocricy? Patient groups special: Swallowing the best advice? Negative Results Left Out of Stroke Literature? Rent-a-Researcher: Did a British University Sell Out to Procter & Gamble? What Can We Learn from Medical Whistleblowers? BMJ review of “Communication for Doctors: how to improve patient care and minimize legal risks"
Could Alternative Medicine Have Saved Terry Schiavo? 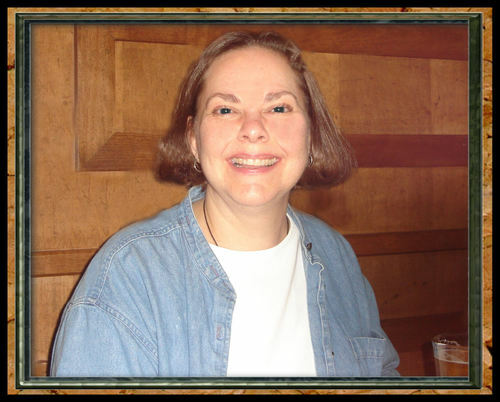 Many visitors to this site know that it is dedicated to my husband, Tim Fisher, who died exactly two years ago today, as a result of complications from a brain tumor, which was first diagnosed in 1990, when Tim was just 40. Had he lived, he would have been 59 this coming March. As I wrote in my article that was published in 2003 in the National Brain Tumor Foundation's newsletter, during the 15 years Tim lived as a brain tumor survivor, he was subjected to all varieties of treatments our medical system had to offer -- both good and terrible -- from his one lifesaving surgery to remove the original tumor in 1990, to a succession of subsequent, almost-20 surgeries to correct all sorts of complications that ensued. The complications included non-healing suture lines, hydrocephalus and a radiation-caused stroke. In addition, he suffered more than his share of seizures, as well as numerous hospital errors, including both underdoses and overdoses of medications. These errors, and many others, landed him in the ICU too many times to count. I could go on and on about our healthcare experiences, but I won’t do it here on the second anniversary of his death, except to say that I saw (and Tim experienced) so many examples of substandard medical treatment in some of Chicago’s so-called “top hospitals” that we both vowed that I should make every effort to be part of the solution by at least making people aware of what’s broken. This is what Honest Medicine is all about. It’s my tribute to Tim. But today, I’d like to give you a real sense of the QUALITY of this man -- and what made his life such a fine and lasting inspiration to so many people, but most of all, to me. If I accomplish even part of what I hope to accomplish in my lifetime, it will be because of Tim. I think what’s most important is that Tim kept his cheerful, positive attitude throughout the first eleven years after his brain tumor diagnosis. The word I always used to describe him was “jaunty.” Although he couldn't work full-time anymore -- and less and less as the years passed -- he continued to work part-time as a lawyer and went to court whenever he could. Once he even had a seizure in court. His good friend Steve Deitsch, who had thankfully been there when it happened, drove him to the hospital; I rushed to be with them. Later when he awoke, Tim told me he had had a grand mal seizure right there, in front of the judge; and that, when he woke up, he found that he had peed in his pants. (That’s what often happens when a person has a seizure.) What was Tim’s reaction to this experience? To go back to court the next day, of course! He told me that if he gave in to every little setback, his goose would REALLY be cooked; that the idea was to live WITH these imperfections. I learned a lot from him. And Tim continued to love his books and his classical music. I always called them his first two loves. (I was a close third!) He knew that the occasional seizures and the many brain surgeries (to correct complications) were taking a toll on his brain, so he worked extra hard to challenge himself. He listened to classical music and read some of the most difficult books imaginable -- he described them as “tasty”! -- and tried to share passages from them with me. (These passages were often so complex that I barely understood them, even though I was the former college English teacher!) He would often get up to read in the middle of the night because that was the quietest time, and it was becoming more difficult for him to concentrate than it had been in his pre-tumor days. He would often tell me that he knew that someday, he might not be able to read anymore, so he wanted to make the most of it while he could. Things changed drastically after the surgery to remove his second tumor in 2001. Just like after his 1990 surgery, his incision again wouldn't heal. This time, he spent eight months in the hospital, where they performed yet another 8-10 surgeries. In the end, his incision finally healed, but this round of surgeries left him (finally) brain injured and paralyzed. The medical profession gave up on him entirely. Tim’s last 3-1/2 years were spent at home with me. Our final years together were very beautiful in their own way. Tim became exactly the kind of disabled person you would have expected: urbane, witty, funny -– even while bedbound and paralyzed. By the time Tim died, most of our “couple friends” had deserted us. They had started to drift away during the first eleven years, when he slowly became more noticeably forgetful. There is chapter in a book on caregiving (Always on Call: When Illness Turns Families into Caregivers), in which a rabbi, Gerald Wolpe, describes how friends were there in the beginning, right after his wife’s stroke, but that they drifted away afterward, unsure of how to respond to the different lifestyle her illness forced them to live. I think Tim’s condition embarrassed his friends, too. Or, they might have thought that he would be embarrassed if he thought they noticed that he was not 100% the same. But there were some very good people who stuck by us after Tim's 2001 surgery, and I’d like to mention them here. There was his caretaker, Cindi Saukeld, and his physical therapist, Irene Lewis, who achieved the miracle of helping Tim to get enough movement back that he could pedal his exercise bike by himself. And I can never forget Mick Aber, who was “assigned to Tim” by our local hospital in his capacity as home social worker. Mick was a miracle, staying on as our friend, even after his assignment had ended. It was Mick who found the Brain Injury Waiver Program for me -- a State of Illinois program that helped people like us by providing caretaker services that I never could have afforded. Mick not only found the program for me, but -– with another dear friend, Ginny Lazzara -- fought so hard for us, so that we were FINALLY approved for home care so that I could afford to keep Tim at home with me. And of course, our very good friend Ann McCabe, who visited us so many times during Tim's long illness. And then, I will never ever forget our dear friends at the AmericInn, the wonderful hotel in Bolingbrook where Tim and I stayed when he was undergoing hyperbaric oxygen treatments. Jim Reich, Marsha Fiocco and Mark Derkacz were the most wonderful family we could have asked for. Tim and I never really discussed his “after death” wishes in great detail -- probably because we lived under its shadow for so many years. But he had two wishes that he was clear on, and he told me about them several times over the years. • His vast book collection was to go to our dear friend Keith Peterson, friend for many years to us both, and proprietor of Tim’s favorite used bookstore, Selected Works. Although it was impossible for me to part with his books right after Tim’s death, the time is coming when Keith will be the proud owner of this huge and wonderful collection. • Tim didn’t want the typical “memorial” or funeral. What he wanted was for his friends to get together and have some drinks -- “on me,” he’d say. I am proud to say that last year, several of his friends from the DuPage County State’s Attorney’s office, which was the site of Tim’s “glory years” (he even won the State’s Attorney of the Year Award one year; I believe in 1984) met and told “Tim Fisher Stories.” We had a great time and Tim would have loved it. I took some great pictures, and am including 6 of them here, here, here, here, here, and here. I added a few healing rituals of my own -- first, by “adopting” a tree in a beautiful park right near our home. I chose the location because it was next to one of Tim's favorite statues, honoring the Oak Parkers (Illinois) who had fought in World War 1. Listed on the side of the monument were the names of all the Oak Parkers who fought. 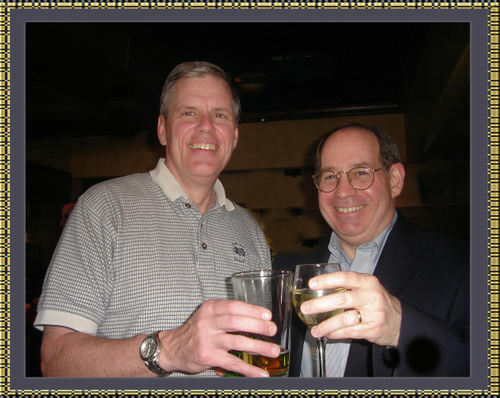 There was one name among them that Tim always enjoyed pointing out to friends: "E. Hemingway." (Not many people knew that Hemingway was listed here. Tim delighted in pointing this out.) At the base of Tim's tree is a plaque that reads: “Timothy Fisher, In Loving Memory, 3-13-49 11-08-05.” I go there on all significant occasions, as well as at lots of other times. Oh, and this park is right next to the library, too. What could be more appropriate? Right after Tim died, I asked one of our dear friends (a friend of mine since I was 12 years old), Beth Ryza, an amazing artist and sculptor, to create a sculpture that would always remind me of Tim. She did, and I have it to look at every day. After Tim died, I also asked some friends to write about their memories of Tim. Several did, and I am including their memories here. You will get a sense of the real Tim Fisher, from all angles, by reading these tributes. The first two tributes were written by his two cousins (from opposite sides of the family): Greg Dettman, who knew Tim best as a little boy; and Ned Anschuetz, who didn’t know Tim as well as a child, but came to know him a bit better when both lived in Chicago. 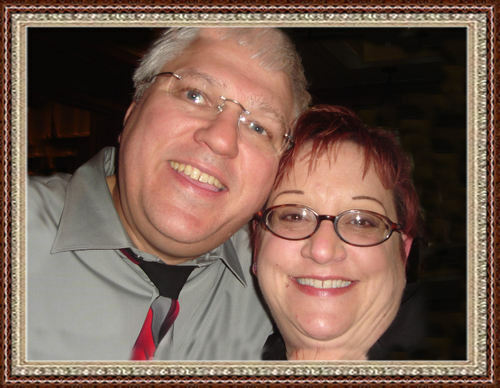 Next are the memories shared with me by one of Tim’s DuPage County State’s Attorney’s office friends, Barb Preiner who, with her husband, Steve Deitsch, visited us in Oak Park during Tim’s illness, and were to spend so much time with us when we were in Bolingbrook. Barb’s tribute will tell you about Tim Fisher, the amazingly brilliant and quirky lawyer -- the man who loved his job so much that once, when he was rushing to court to start a trial in a torrential rainstorm, he chose the wrong street to drive down, and literally sank his car! He made it to court anyway, totally wet, but with his files (and his father's saxaphone) intact. From then on, the car was called the “glove sub.” You’ll have to read Barb’s story to understand why. I was (and still am) very touched by her words. I read them often. 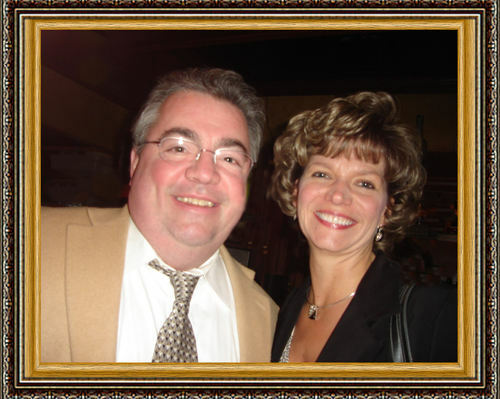 To give you a bit different, but equally wonderful, perspective on Tim, the lawyer, there are the words of Shelvia Tinsley, Tim’s secretary at the State’s Attorney’s Office, and a very dear friend to both of us throughout the years. My favorite part of Shel’s story is how Tim was always trying to get her to love classical music the way he did, so she would tell him she was listening to Mozart, while she was really listening to Rhythm and Blues (with her headphones on, of course!). And I couldn't leave out Barry Bender, who knew Tim best as a drinking and story-telling (and story-listening) buddy. Tim and Barry had a very special relationship, discussing music, literature and politics. Barry moved to California, so we didn’t see him much; but he still called every now and then to see how Tim was doing. And when Tim was dying, Barry and his wife Beth came to visit us. The next three memories are by some more wonderful friends who -- like the others -- stuck with us throughout the good and bad times. Keith Peterson -- who will inherit Tim’s vast book collection. (Keith calls this his "inheritance.") He is also the friend who took our wedding photos, as well as the photo that adorns this website (upper left). It was the last photo ever taken of Tim and me together. 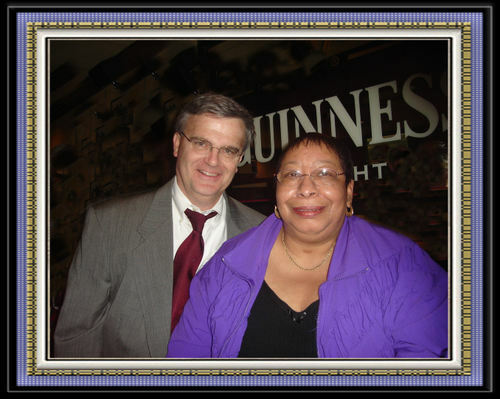 Virginia McCullough -- my good friend, who provided (and still provides) a very loving ear on a regular basis. 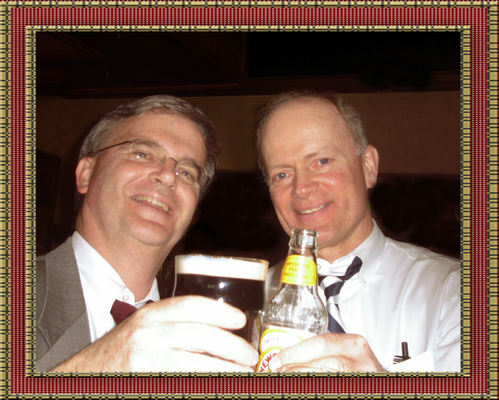 And last, but very certainly not least, David Dalton, who with his partner Chuck Powers, has been so loyal to both of us for over twenty years. The four of us enjoyed many wonderful evenings (and days) together. In this piece, David describes our wonderful times spent listening to music at the Ukrainian Institute of Chicago. Finally, I'd like to share some Tim Fisher Witticisms. When people would visit us when Tim was bedbound during those last 3-1/2 years, he would often pretend to be asleep. By then, he was totally embarrassed and humiliated by his situation. Many of our friends therefore didn’t realize that Tim was the wittiest brain-injured person on the face of the earth! These two words -- grace and care -- describe Tim Fisher better than any words I could possibly come up with. Oh, yes. I would definitely add kindness and wit to the mix. I would like to appreciate the great work done by You,Please continue posting like this..
I’m looking for themes on my blog I am just starting. Do you think this type of theme would work for my photography blog? I loved re-reading this piece. Written with love and grace, it is a worthy tribute to the special love you and Tim shared. Too bad it couldn't last longer. Sending you a big hug. How beautiful! I lost my fiancée in a month. So we didn't have that time. It was full of witty, silly comments too. I am sure they would have gotten along famously. Thank you for sharing such a beautiful tribute. Thank you for your gift of love and hope and humor and your ability to bring your clearly wonderful husband to life. While checking out Keith's website from my home in Milwaukee, something drew me to your tribute--a positive way to start a very early and cold day. This warmed it up. HONEST MEDICINE Is Now Available for the KINDLE!